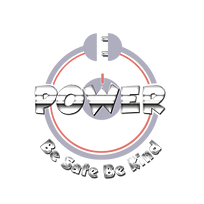 Within school we have a group of POWER Cadets. Their role is linked to a POWER project which school has taken part in for the past two years. The aim of the project is to work with schools and other learning environments in the region to help children and young people, parents, carers and professionals have access to quality Esafety Education Provision. R: Responsible ~ Realising our own behaviour and activity online and taking responsibility for what we do. As our previous POWER Cadets have left to attend secondary school, we have recently selected a new group of children. During Internet Safety week, the POWER Cadets shared an assembly on Personal Information. They discussed what personal information is and why we need to keep it private. Do NOT give out your any of your personal information to anyone. If a new game or App asks for personal information, you must check with an ADULT. Do not type in your information. Do NOT give out your passwords to anyone. Keep your accounts and profiles PRIVATE. Think before you do something. Always TELL and ADULT. The Power Cadets delivered their half-termly assembly this week and based it on safe gaming. They explained that an organisation called Pegi test every game to decide who it is suitable for, and they told us why we shouldn’t play games which are not aimed at our age group. The cadets also talked about how some people online are not who they say they are, and that it is just safer only to talk to people we know in real life.